The Lamborghini Gallardo built by Lamborghini, is their most-produced model to date with over 10,000 built in its first seven years of production and 14,022 being produced throughout its lifetime. 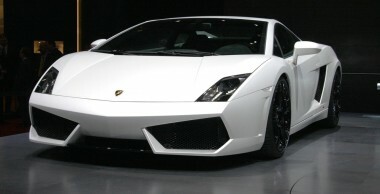 The V-10 Gallardo has been Lamborghini’s sales leader and stable-mate to a succession of V-12 flagship models—first to the Lamborghini Murciélago (4,099 built between 2001 and 2011), then to the current flagship Lamborghini Aventador. On November 25, 2013, the last Gallardo was rolled out of the factory; it was a Gallardo LP 570-4 Spyder Performante in Rosso Mars which was purchased by a private collector. The new engine, 40 PS (29 kW; 39 hp) has more powerful than in the previous car, and comes with two transmission choices: 6-speed manual or 6-speed E-gear, the later of which was revised to offer a Corsa mode which makes 40% quicker shifts than before and decreases traction control restrictions, a Thrust Mode launch control system was also added. Accompanied with a 20 kg weight reduction all the improvements add up to a claimed performance of 0-100 km/h in 3.7 seconds, 0-200 km/h of 11.8 and a top speed of 325 km/h.